Corona Cigar Company All American FSG Experimentals are one of a kind, small batch cigars. These cigars are an essential part of the blending process, testing and training process for J.C. Newman Cigar Company’s new Tampa made, hand crafted, super premium American cigars. Each cigar is 100% hand rolled in J.C. Newman’s iconic “El Reloj” factory located in historic Ybor City, Tampa. The unique Florida Sun Grown wrapper is extremely rare and grown exclusively on Jeff Borysiewicz’ FSG farm in Clermont, Florida. The binder and long filler tobaccos are a blend of American grown Connecticut Broadleaf and Lancaster, Pennsylvania tobaccos. 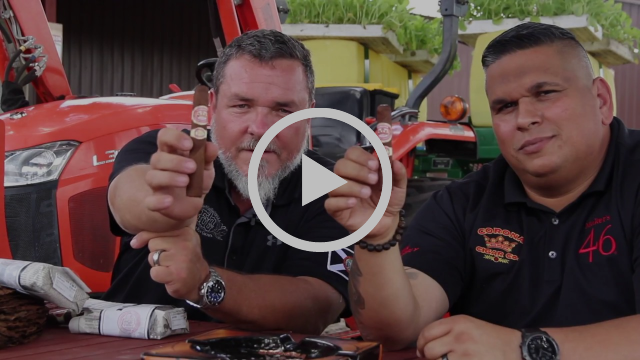 Every cigar has been pre-punched and draw tested to ensure quality and consistency while two Cuban-American master cigar rollers perfected the difficult task of rolling the thick and oily Broadleaf long filler tobaccos.